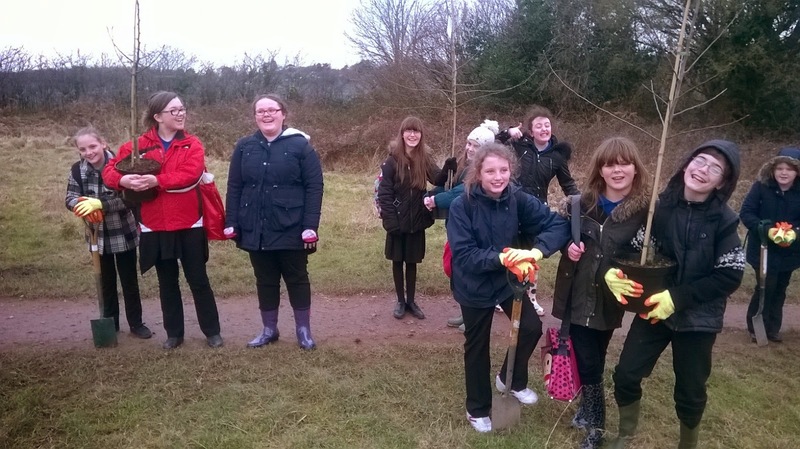 Friends of Nant Fawr Community Woodlands: Five Schools Lend a Hand! After interesting problems regarding the transfer of 12 trees, we have finally started the establishment of two small orchards this February. 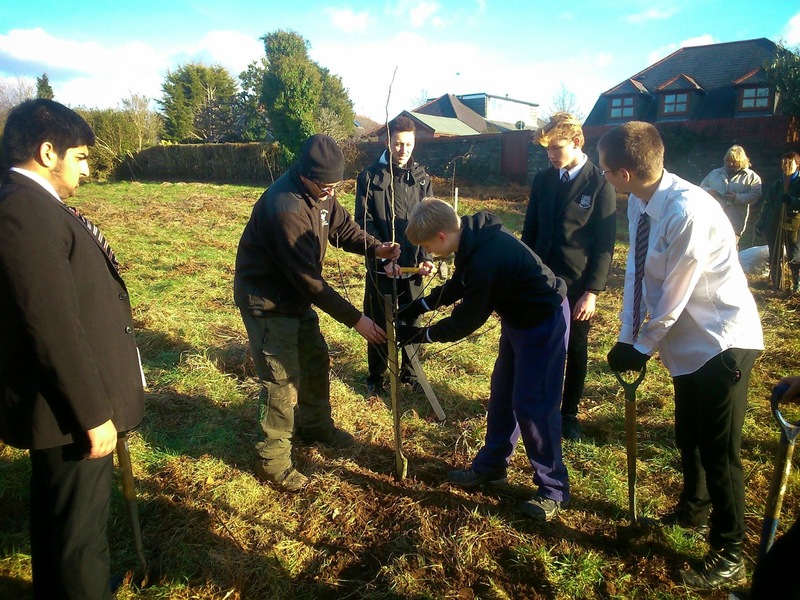 A group of 6 Y11 pupils from Cardiff High school joined Kevin, and a couple of Friends, to plant 6 trees two apple, two pear, a cherry and a plum) in Rhydypenau meadow. On our walk back we were also able to scatter some native wild flower seeds (of 19 species) suitable for shady areas in Woods Covert. Two days later, we were joined by an Ecogroup from Llanishen High school in Rhydyblewin meadow. 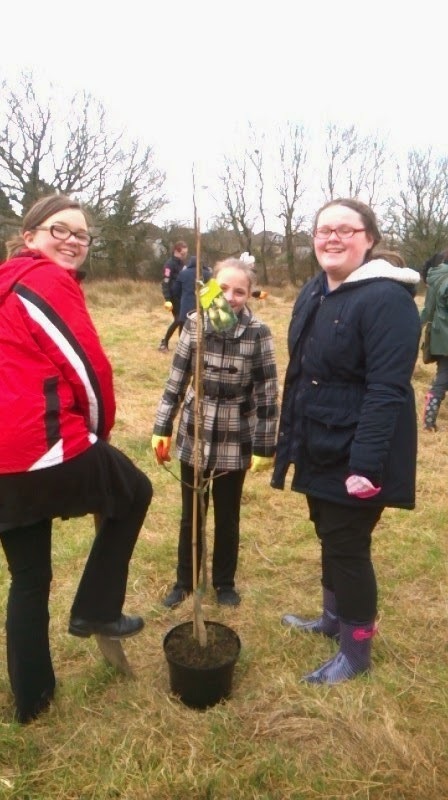 The 12 Y7 pupils helped us to plant another 6 trees (three apple, a pear, a cherry and a plum) on the driest area we could find. They then turned their attention to clearing the undergrowth around some of the trees planted for the Jubilee Woods project. Many thanks to both sets of pupils and teachers - they were a pleasure to work with! In November 2012, children from Rhydypenau Primary School took part in the Diamond Jubilee Planting Programme. 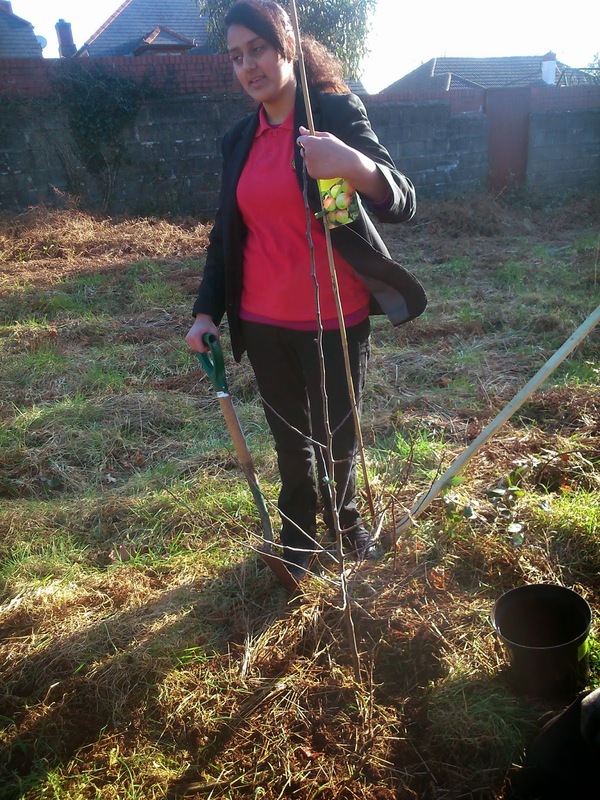 Saplings of various fruit and nut trees were planted in the hedgerows of Rhydypenau Park to offer food for wildlife. In February 2012, Coedglas Primary School were the first of five local schools to take part in the Diamond Jubilee Planting scheme. 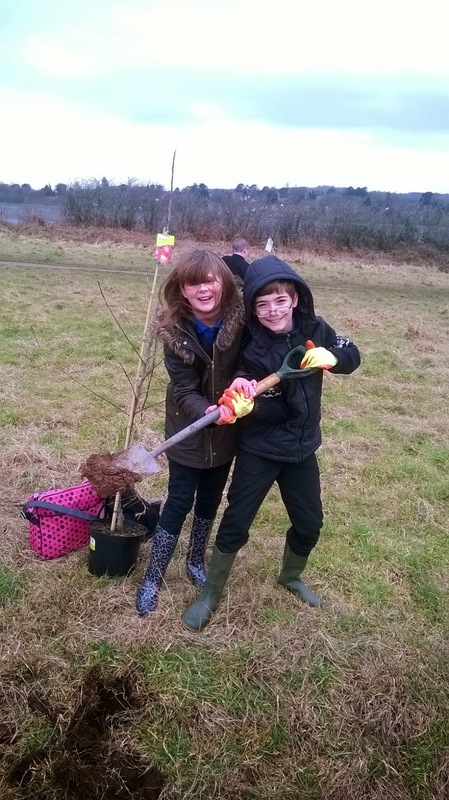 Saplings were planted at the top of Rhydypenau Park to provide fruit and nut-bearing trees for the wildlife. Receiving instructions from park ranger, Kevin Date.